More Pickaxes Mod does exactly what the name implies. This mod will implement a ton of new pickaxes to your Minecraft. There are many types of pickaxes such as Normal pickaxes, Food pickaxes or Low durability pickaxes. All of them will be listed below for more information. 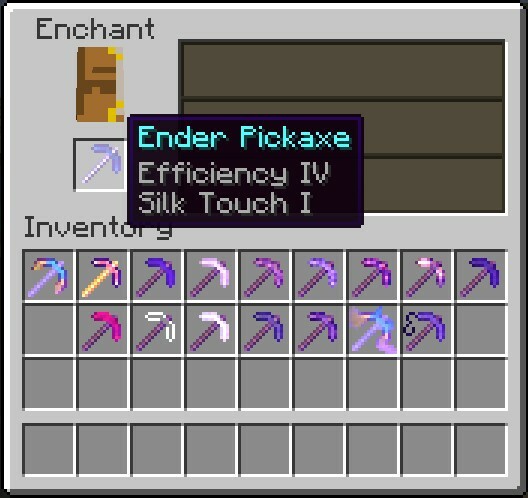 Especially, you can enchant the pickaxes. 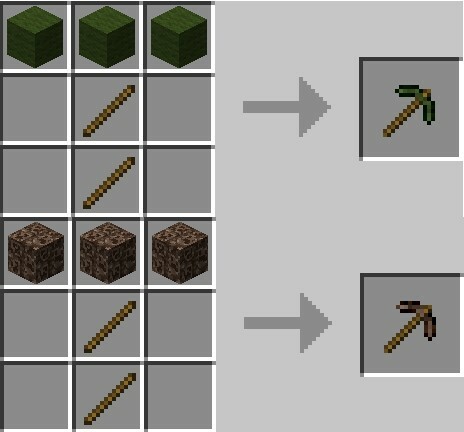 Normal pickaxes: This pickaxes are normal pickaxes, so they can mine rock blocks and can be crafted with sticks and their material! 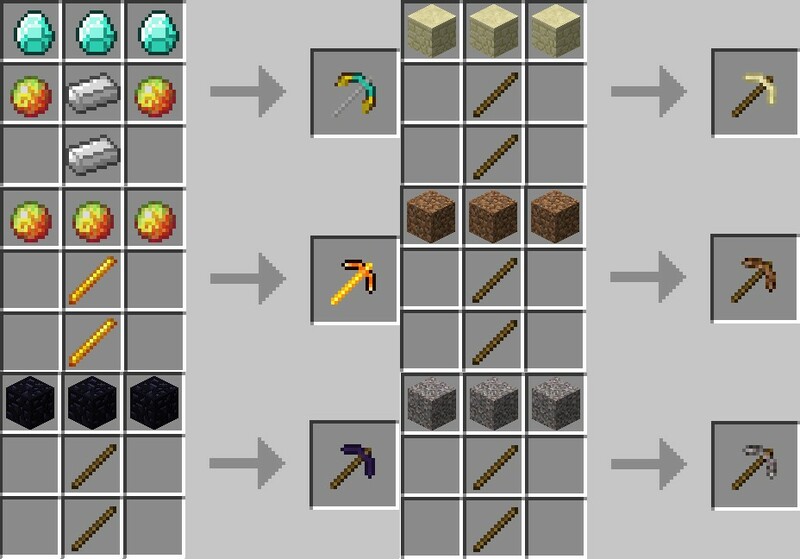 Food pickaxes: This pickaxes can be only eaten, but they have the food 3x, so they give 3x the food! Low durability pickaxes: This pickaxes has much damage and they are very effiency, but they will break very fast! Special pickaxes: This pickaxes have special abilities. 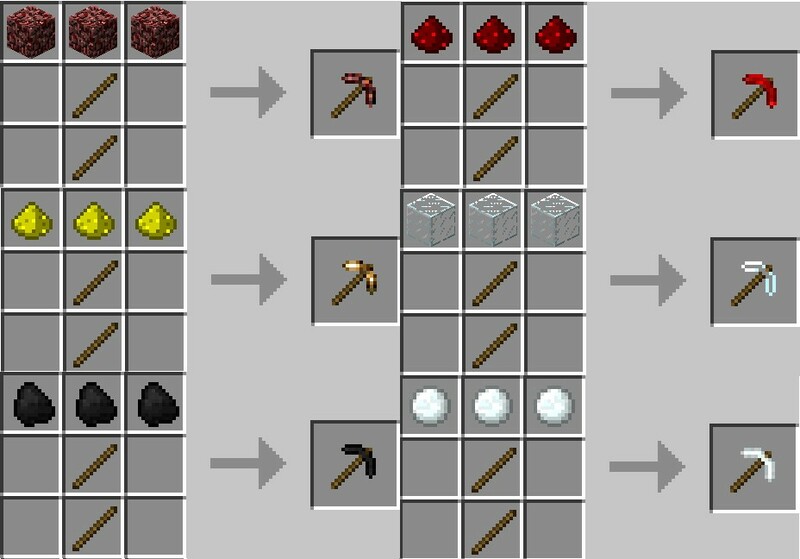 Cheat pickaxes: This pickaxes are just overpowered, because you can’t get the material in vanilla Minecraft, so you have to cheat to get this things! 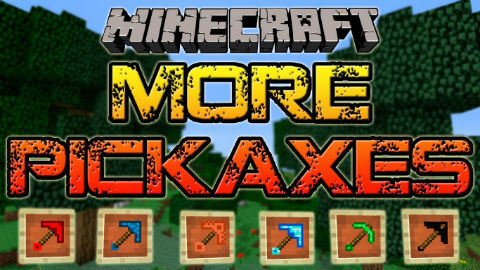 Download the More Pickaxes Mod from link below.